Since 1997, Cover Frameless Glass have been recognised as distinguished leader in the frameless glass industry, and for more than twenty years, we continue to demonstrate excellence through delivering immaculate frameless glass solutions encompassed with professional customer service. We’ve gained recognition as one of the nation’s most esteemed frameless glass companies and are consistently ranked highly by contractors, engineers and architects. With over 20 years of experience in the frameless glass industry with a long list of projects and loyal clients, we’ve earned the right to be called specialists in our field. Cover Frameless Glass proudly offers you the widest range of Frameless Glass Stacking Doors in South Africa! Cover Frameless Glass offers an elegant, safe and secure range of frameless glass doors which includes a choice of pivot and hinged glass doors, manufactured in South Africa to the highest quality standards. Our Frameless Glass Balustrades have been used on various projects which includes apartments, houses, office buildings and pool fencing. Our Balustrades are master crafted with the highest quality materials keeping your safety our core focus. Cover Frameless Glass offers remarkable designs and the highest quality Frameless Glass Partitions. We are dedicated to assisting our clients to create effective and innovative work spaces for any office environment. Our Glass Partitions can also be used for home, kitchen, bathrooms or segmenting any area within your home. The design of a frameless glass shopfront is an important consideration for any retail business. Cover Frameless Glass can custom design and install a frameless glass shopfront to meet the highest quality standards and security. Cover Frameless Glass has been providing high quality skylight and glass roofing solutions to both residential and commercial clients, including architects and building contractors. 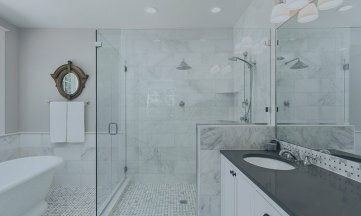 Cover Frameless Glass provides custom designed frameless shower doors to enhance and provide an elegant appeal to your bathroom. We use only reliable proven hardware for peace of mind knowing that your doors swing without slipping or failing. At Cover Frameless Glass, we are delighted to create custom glass solutions, tailored to your specifications of your home, office or creative space.